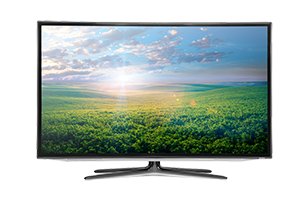 We are able to carry out custom or basic installations of LCD and Plasma screens in your home or business. If this a service you require and you live in Essex, London and Kent, then we can send an engineer round to you as soon as possible to give you a free no obligation quote. Firstly, our engineer will ask you where you would like the TV to be placed, either on the wall or onto a cabinet, so that they can survey the area around it in order to avoid any hidden wiring that you are not aware of. They can then let you know if you need any additional items such as wall brackets, scart, power and aerial leads. These will be charged for additionally if you need to purchase these items from us. Our engineer will ensure that all your furniture and flooring is protected. They will then assemble and install the wall bracket to which the TV will be mounted on. The TV screen will then be securely and carefully mounted to the bracket, all cables will be connected and a full demonstration of the equipment will be given. It may be necessary to have channels made inside your wall to hide your cabling (custom install). We will let you know at the survey stage if this needs to happen or you wish for us to do this anyway. We will be able to carry this out for you as part of the installation process. The cables will be hidden and the wall re-plastered. Otherwise we will use paintable while plastic trunking to hide your cables and wires if you have chosen to have the basic installation. Can a Plasma or LCD screen be fixed to a plasterboard wall? Do you conceal the cables? Some larger screens may not be able to be fitted to a plasterboard wall so this is something we look at when we do a site survey. We can then let you know if this is possible or not. Some flat screens are extremely heavy and often require specialist wall brackets and fixings to ensure the screen stays on the wall. We are able to conceal your cables but that will mean that the cables will need to be channelled into your wall. This will take a little more time as the surface area will also need to be re-plastered. This is something we can discuss with you when we come to survey your walls. If you do not wish us to do this, then we can hide the cable inside some trunking. This will require less work and will be a cheaper option.